Below you can view all the homes for sale in the College Park subdivision located in North Las Vegas Nevada. Listings in College Park are updated daily from data we receive from the Las Vegas multiple listing service. To learn more about any of these homes or to receive custom notifications when a new property is listed for sale in College Park, give us a call at 702-323-5951. This home is filled with charm! MLS#2089468. Centennial Real Estate. You Dont Want To Miss Out On This Great Buy!! ! MLS#2082553. Blue Diamond Realty LLC. Two year old roof. Upgraded electrical and plumbing system. MLS#2083185. BHHS Nevada Properties. Appliances To Be Installed And Exterior Paint And Landscape To Be Completed. MLS#2080991. Windermere Excellence. The garage was converted to the master. Make this home yours today! MLS#2080592. Evolve Realty. 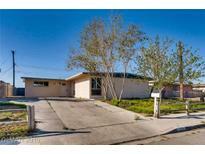 This property has tons of potential, sits on a large lot, and is centrally located. MLS#2070308. City National Properties. Great 1 Story 4 bedroom home for owner occupied or investor in developing area*Close to schools, parks and shopping*No HOA*Large, fully fenced lot*Home was fully remodeled with new roof in 2009. MLS#2069209. Windermere Prestige Properties. 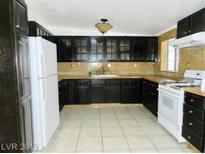 New Floors Throughout The Whole House, New Doors, New Bathrooms And New Kitchen Cabinets, Granite, Appliances. MLS#2067145. Keller Williams Market Place. Garage is huge, room for 4 cars. MLS#2064006. THE Brokerage A RE Firm. This is home is positioned on a large lot with tons of space for entertaining! MLS#2061663. Galindo Group Real Estate. 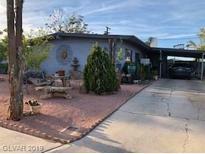 Completely remodeled home with new flooring*new paint*new ceiling fans* new counters*new cabinets*new appliances*1 car garage*Great corner lot with a lot of potential* MUST SEE! ! MLS#2058128. Urban Nest Realty. No show do to it being boarded up and trashed MLS#2054061. Realty Executives of SNV. With no HOA and centrally located makes this is a great home! MLS#2046641. Doss Realty Group LLC. Great pool size yard. Property sold in AS/IS condition. MLS#2032309. Platinum R.E. Professionals. Great Home! Come See. MLS#1831742. Park Place Realty.